She & Him is an Indie band featuring Zooey Deschanel on vocals and M.Ward on guitar. Deschanel is an actress, currently starring in the TV show New Girl, and Ward is known for his singer/ song-writer work. 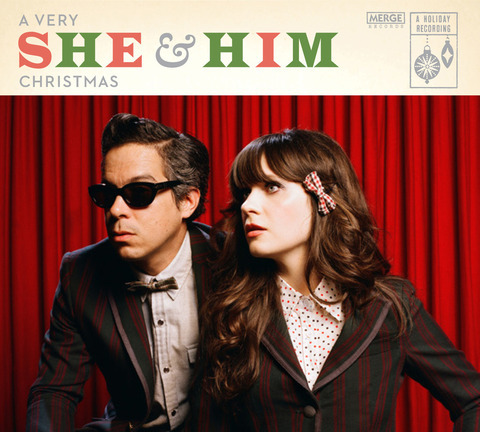 The duo has just released their third album, A Very She & Him Christmas, unique covers of well-known classics. The vocals and quirky instrumentation (there’s a ukelele in there!) give it an old-timey, laid-back island vibe. Songs to check out are “The Christmas Waltz” (shown above… how cute is her dress? ), “Rockin’ Around the Christmas Tree,” and “Baby, It’s Cold Outside.” The perfect gift for your favorite hipster, the album is versatile enough to listen to while decking out your apartment for the holidays or celebrating Christmas on a tropical island!